Robert J Sternberg is Professor of Human Development in the College of Human Ecology at Cornell University. He was most recently President and Professor of Psychology and Education at the University of Wyoming. Before that, he was Provost, Senior Vice President, Regents Professor of Psychology and Education, and George Kaiser Family Foundation Chair of Ethical Leadership at Oklahoma State University. He also is Honorary Professor of Psychology at Heidelberg University. He was previously Dean of Arts and Sciences and Professor of Psychology and Education at Tufts University, and before that, IBM Professor of Psychology and Education, Professor of Management, and Director of the Center for the Psychology of Abilities, Competencies, and Expertise at Yale University. 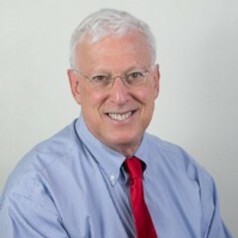 He is a Past President of the American Psychological Association, the Eastern Psychological Association, Federation of Associations in Behavioral and Brain Sciences, and the International Association for Cognitive Education and Psychology, as well as Treasurer of the Association of American Colleges and Universities. He currently is Associate Editor of Perspectives on Psychological Science and begins his term as Editor on January 1, 2015.